Henley Finance have set the release date for their first App, which will be available for free download. The App was conceptualised by founder Richard Butler Creagh and has been praised as the first App of its kind from a bridging finance company. Henley Finance have set the release date for 1st of June 2017, at which time it will available for free download. The app was conceptualised by founder Richard Butler Creagh in order to make the registration process easier for new and existing clients. It will also contain a 'Tool Box' for the professional property developer including a 'price-per-square-foot calculator' and a 'loan-to-value calculator'. The bridging finance company have let only one App review blog take the first look at their new app. CloudyTech.net were given the exclusive opportunity to review the app in it's final stages of testing. They labelled it: ‘‘A useful and easy to use tool that makes getting a loan easier than ever’’ by making applications faster and easier. They loved the 'Tool Box' and praised it as the first App of its kind from a bridging finance company. 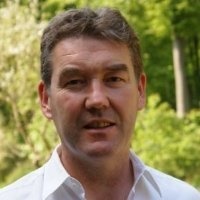 Find out more about Richard Butler Creagh by visiting his crunchbase profile For more information on getting financial support for your business, connect with Richard Butler Creagh on his Linkedin page here and join his professional network.